It’s no coincidence I’m posting this just before Halloween, Cancer is a monster and a horrifying disease. Thankfully there are some amazing strides being made every year in the battle against it. But it takes money to do the research, and that’s where we can all help out. 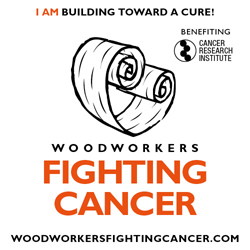 If you’re not able to participate in the Woodworker’s Fighting Cancer build-along this year there’s now the Woodworker’s Fighting Cancer Tool Auctions! 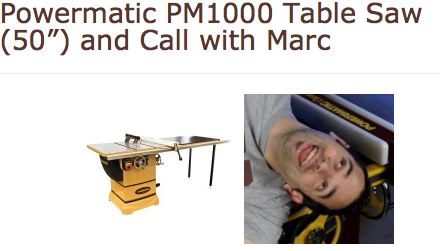 or a Powermatic PM1000 Table Saw (50”) and Call with Marc. 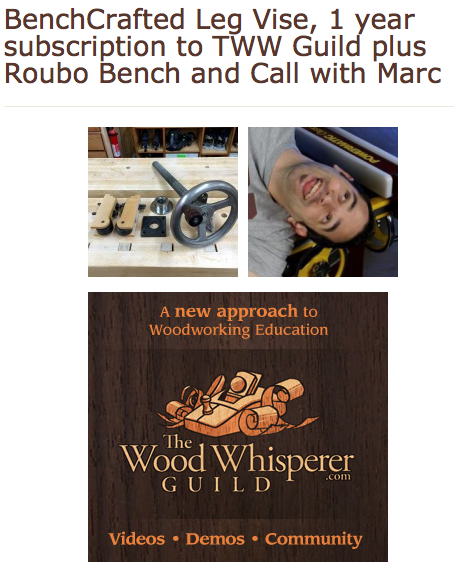 Or a BenchCrafted Leg Vise, 1 year subscription to TWW Guild plus Roubo Bench and Call with Marc. Sure all three of these auctions mean the winners will be paying a much higher price for items they could ordinarily get elsewhere. But then we wouldn’t be able to say we were doing as much as we could to help find a cure for a disease that will most likely touch us or a loved one in some way during our lifetime. To participate in the auctions or just to see the level of generosity of the bidders, visit the links above. 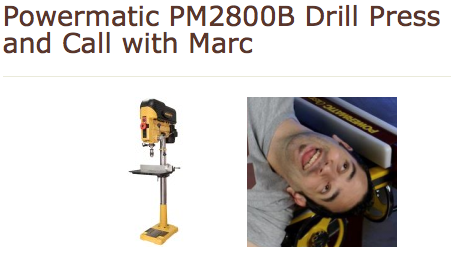 Hurry, these end soon!